Having both grown up in the San Francisco Bay Area, Carmen & Leland knew the city pretty well. 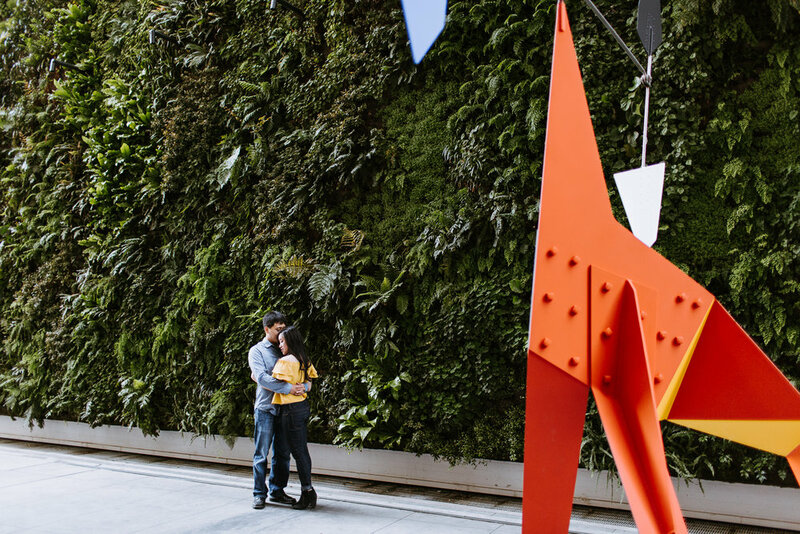 At the time they contacted me about their engagement and wedding photos, Carmen had started working at the San Francisco Museum of Modern Art. A place I had been itching to go to. 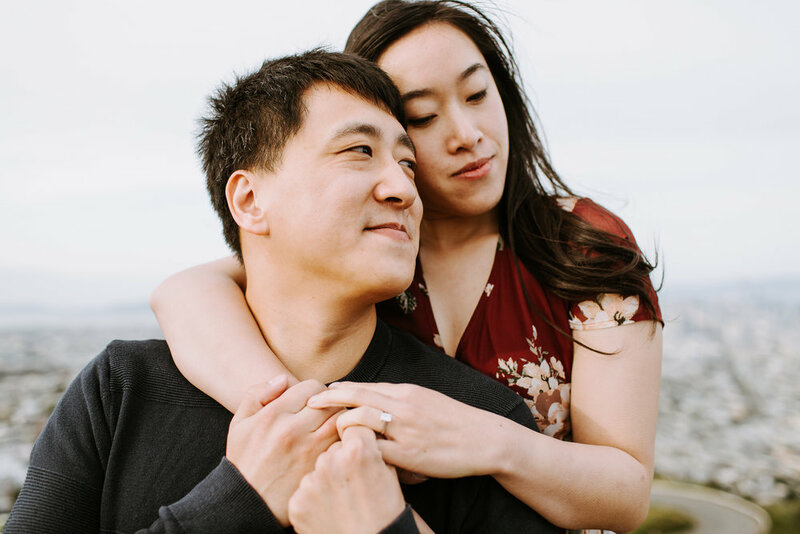 We started their shoot at the SFMOMA and finished off with some incredible sunset views up at Twin Peaks. 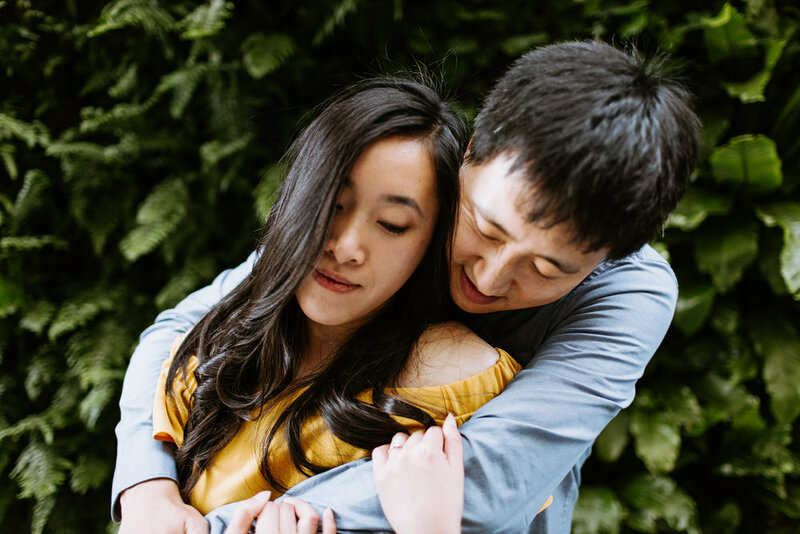 I love the contrast in their session with the artsy, indoor vibes versus the outdoor views and greenery. 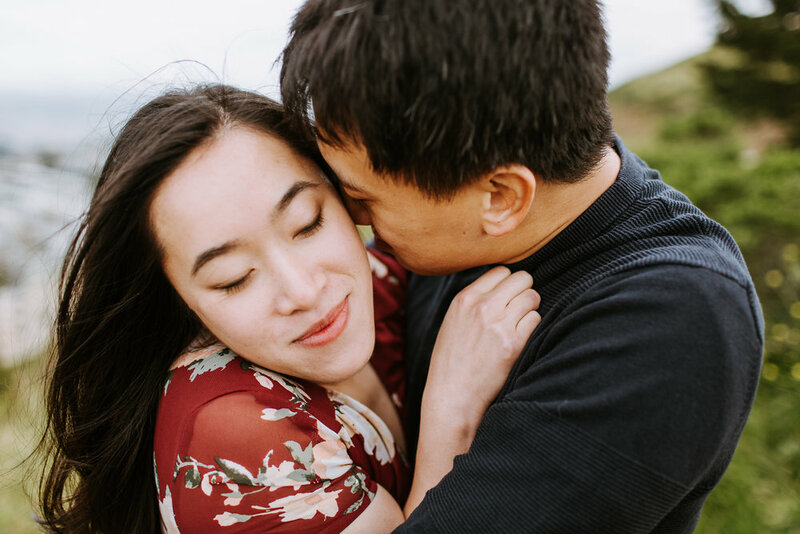 A perfect combination for an exciting engagement shoot. 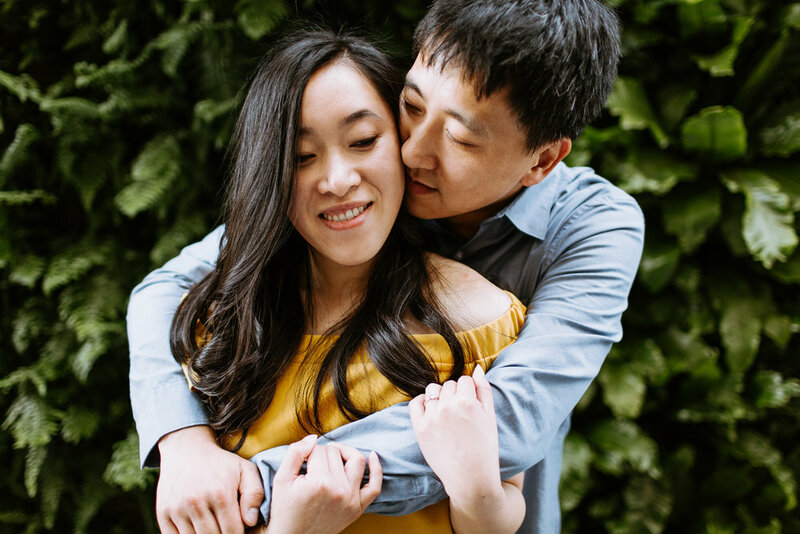 Recently, these two eloped at City Hall with their closest family members and friends, so stay tuned for that post!